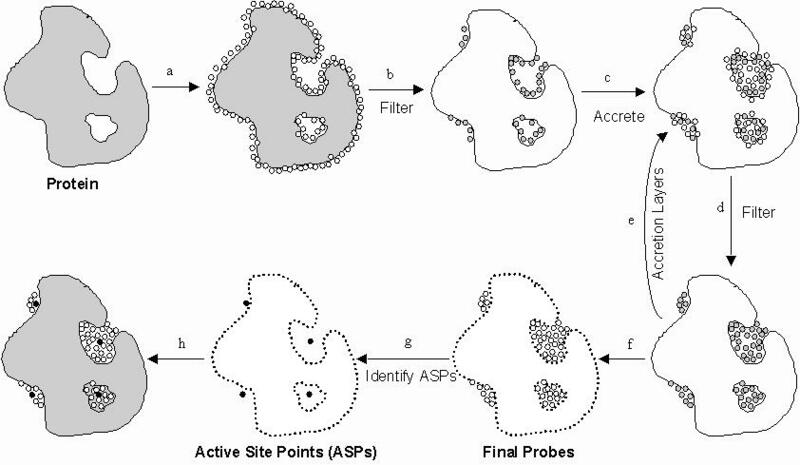 PASS (Putative Active Sites with Spheres) is a simple computational tool that uses geometry to characterize regions of buried volume in proteins and to identify positions likely to represent binding sites based upon the size, shape, and burial extent of these volumes. PASS'S utility as a predictive tool for binding site identification is tested by predicting known binding sites of proteins in the PDB using both complexed macromolecules and their corresponding apo-protein structures. The results indicate that PASS can serve as a front-end to fast docking. 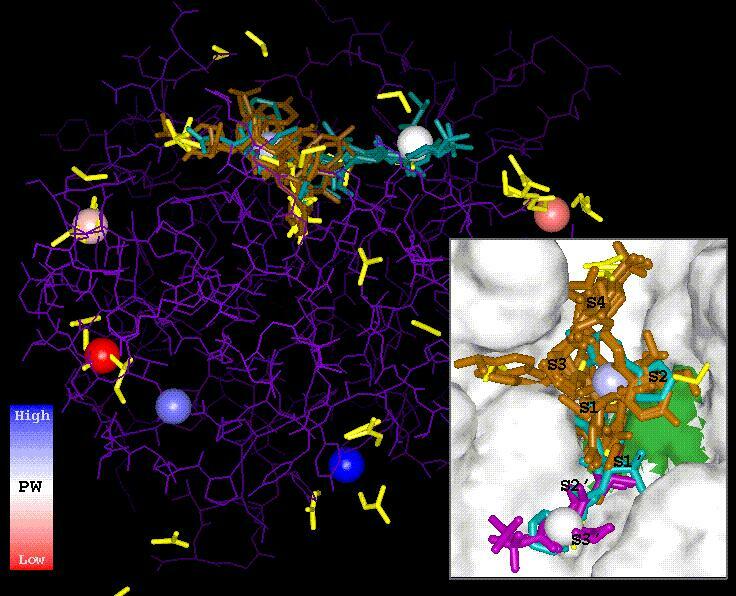 The main utility of PASS lies in the fact that it can analyze a moderate-size protein (~ 30 kD) in under twenty seconds, which makes it suitable for interactive molecular modeling, protein database analysis, and aggressive virtual screening efforts. As a modeling tool, PASS (i) rapidly identifies favorable regions of the protein surface, (ii) simplifies visualization of residues modulating binding in these regions, and (iii) provides a means of directly visualizing buried volume, which is often inferred indirectly from curvature in a surface representation. 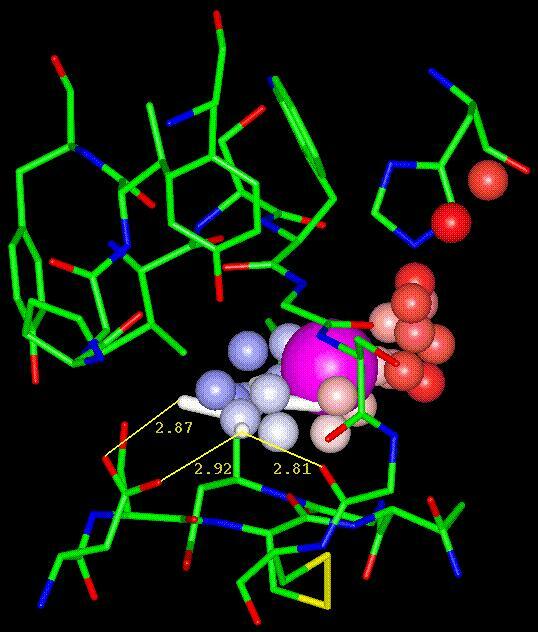 PASS produces output in the form of standard PDB files, which are suitable for any modeling package, and provides script files to simplify visualization in Cerius2®, InsightII®, MOE®, Quanta®, RasMol®, and Sybyl®. PASS is freely available to all. 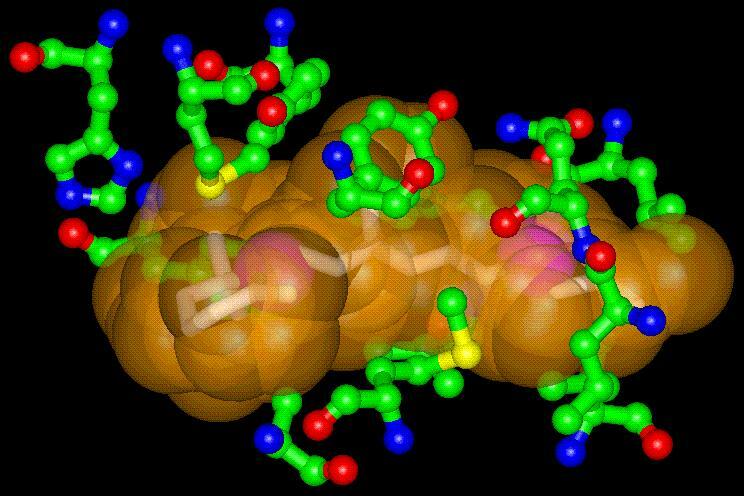 "Fast Prediction and Visualization of Protein Binding Pockets With PASS"
PASS is free to all in executable form (no guarantees are made or implied, however, by the author or by DuPont Pharmaceuticals regarding its implementation or performance). PASS is trivial to run from the unix command line. To run PASS on a protein in PDB file "myprotein.pdb," simply type "pass myprotein.pdb." 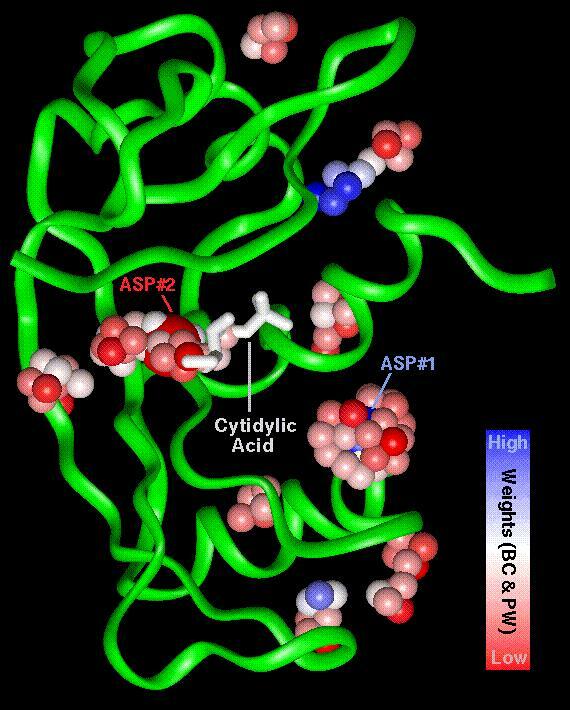 By default, PASS removes water molecules from the PDB file and removes all protein hydrogen atoms if less than 20% of the input protein atoms are hydrogen. PASS offers a host of other options that are available via command-line flags. A full description of PASS' usage and command-line flags can be obtained by running "pass" with no command-line arguments. To remedy such problems, edit the PDB file so as to force it to be standard. In this case, delete either the "A" or "B" copy of ARG 11 and blank-out the letter preceding the residue name. Please email me bugs and/or troubleshooting tips so that I can rectify the code or include an appropriate suggestion on this page. Thanks. Financial support for this project was provided by DuPont Pharmaceuticals Co.